Medical wellness program «NEW DAY» - is a unique complex of measures for the prevention of overweight and obesity, as well as the treatment of dental diseases, aimed at improving the general condition of the body and the formation of the philosophy of a healthy lifestyle. In addition to that our team will be pleased to organize the delivery of all types of sports or special food. We offer only fresh, high – quality products that were grown with love by the farmers of the environmentally friendly island of Cyprus. The program was developed by highly qualified dietitians of the team of the «NEW DAY» hotel. Your collaboration with such experienced specialists as dietitian - nutritionist, gastroenterologist, psychologist, yoga trainer and massage therapist, combined with the sea air will help you to reach amazing results. The minimum course length is 3 days, however, for achieving the best results, and the formation of a healthy lifestyle, it is recommended to participate in a complete 20 days program of proper nutrition and weight loss. Program course may minimally last for 3 days, price 390€. 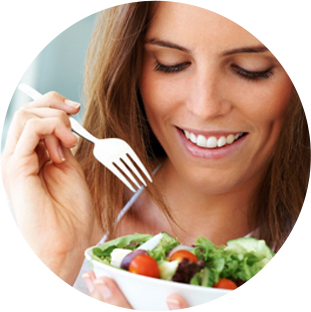 Next days of program (35€/day) include individual eating and dietitian observation. 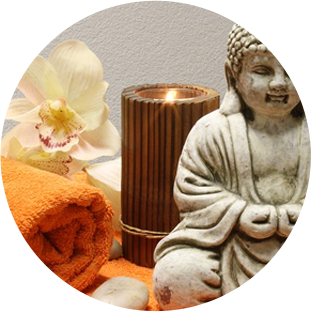 Later, you discuss with doctors, if you like more sessions of yoga, massage and consultation with a psychologist. Laboruntersuchung des ganzen Körpers ist eine Pflichtprozedur für alle Teilnehmer des «NEW DAY»- Gesundheitsförderungskomplexes, weil die daraus folgenden Befunde erlauben unseren Fachleuten ein persönliches Programm der Abnahme zu erstellen. Die Blutentnahme zum Diagnostizieren des Körpers erfolgt durch das Reiselabor «MediPalas», was unseren Gästen allen notwendige Analysen auf der Gelände des Hotels zu machen erlaubt. Hinweis: Der Blutuntersuchung ist obligatorisch und in das "NEWDAY" Wellness-Programmstarter enthalten. 30 minutes session of anti-cellulite massage is included in a basic package. Laser dentistry is said to be one of the most efficient, and sterile ways of dental treatment. The laser method works well also when applied to gums (periodontal disease treatment), since bleeding is minimized because laser has neurotropic, analgesic, and bactericidal effect, and relaxes micro tissue and helps rapid tissue regeneration. 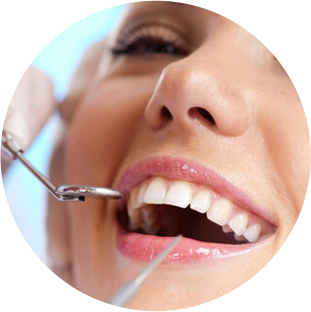 Laser dentistry includes aesthetic dentistry and teeth whitening. Dentists like using laser, because it accelerates the healing of wounds during surgery, eliminates tooth sensitivity, and leaves no enamel micro cracks after the treatment of caries. Laser does not affect the tissues of the teeth but vaporizes away the water contained in them. In the meantime, bacteria are killed, while the tooth enamel becomes firmer. After the treatment procedure, patients do not experience pain, unpleasant numbness, which otherwise appears in case of anaesthetics. The normal state of discomfort that occurs after surgery is unfamiliar. Laser also contributes to tissue regeneration. Our team will be happy to book for you a visit to the dental office. We cooperate with the best specialists in the field of laser dentistry. The concept of our experienced yoga - instructors is to help you to get a desire to live a healthy life, to reveal your inherent physical and mental abilities, to form skills of proper breathing, as well as teach you to keep yourself in good physical shape. Yoga classes take place on an open spacious lawn, close to the swimming pool, surrounded by green palm and lemon trees. 1 yoga session is included in the basic package. The overall quantity of classes depends on the recommendation of your doctor. We can organize individual and group classes. Our 12-meter swimming pool has a heating system. Blue water of the swimming pool, evergreen palm and lemon trees, hydro massage bath, comfortable sun beds will allow you to maintain a sense of Mediterranean resort during your stay. Swimming in the morning will give you a feeling of lightness and cheerfulness for the whole day, daily water treatments will tone the muscles and the evening swimming in combination with a hot tub, relieve fatigue and provide you with a healthy deep sleep. For all guests the use of a swimming pool, Jacuzzi and sun beds is for free. Playground by the pool has a modern spa bath, the use of which is free for all our guests. All luxury apartments are equipped with a jacuzzi as well.